If you want simple html website forms for your website, I will create it for you. 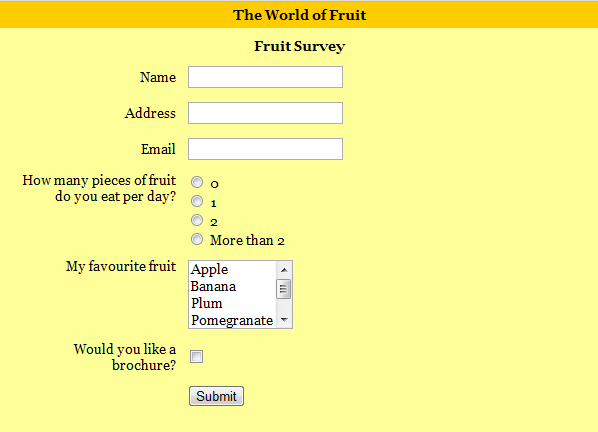 I can add textboxes, dropdown with multi-selection, checkbox, radio button, textarea. All other new HTML elements. Note: PLEASE CONTACT ME BEFORE PLACING ORDER!